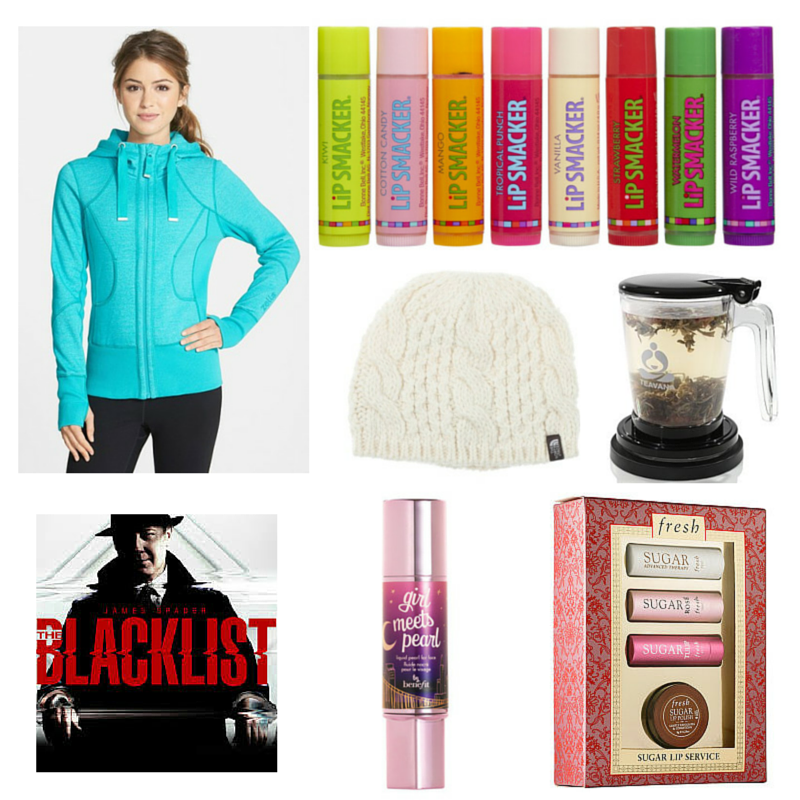 A lot of my favorites this week have to do with cold weather: TV shows, lip products, warm clothes, etc! I highly recommend the winter berry tea from Teavana, along with the perfect tea maker, which makes it really easy to brew the tea into any cup. I've been obsessed with high-end and drugstore lip products lately, even more so because of the cold weather. This Fresh set is a great deal because you get three minis and a lip scrub. I also bought a pack of Lip Smackers because I thought they were going out of business but that may not actually be the case. (Oh well! I'm happy with my purchase anyway!) I rediscovered the Girl Meets Pearl highlighter and have been using it with a stippling brush for the high points of my cheeks. As you know already, I've been watching The Blacklist non-stop and finally got caught up this weekend. Lastly, this Zella hoodie and The North Face hat have both been great winter staples for me.